The Best Workmanship Possible, Period. BCM Roofing offers only the highest quality workmanship using GAF® Roofing Systems and materials, designed to last a lifetime. We hold the highest standards for every service we provide, and promise to meet and exceed your expectations. That’s the BCM Roofing guarantee. 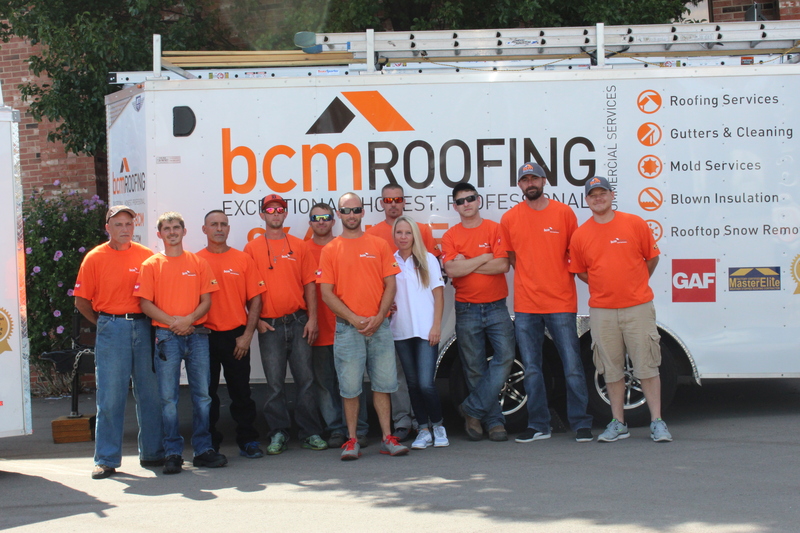 We’ll not only walk you through each step of the roof installation process, we’ll show you what makes BCM Roofing different that other roofing companies. With GAF Roofing Systems and BCM Roofing’s Service Quality Standards, we are able to offer up to a 50 year labor and material warranty. 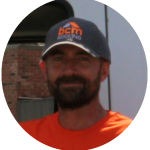 BCM Roofing has earned the service industry’s coveted Angie’s List Super Service Award, reflecting an exemplary year of service provided to members of the local services marketplace and consumer review site in 2015. All Angie’s List members receive 5% off all services. 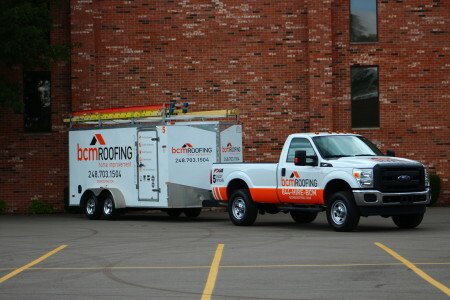 BCM Roofing aims to provide the absolute best support to our outstanding service. We work hard for you to have a quality experience with us, and it shows. Our friendly and professional team will work with you throughout your entire project to ensure we meet or exceed your every expectation. We hold ourselves accountable for the quality of the work we do, and so do our Angie’s List customers. 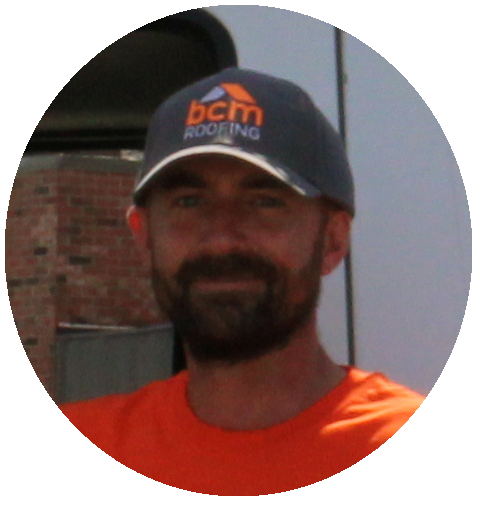 See what they are saying about BCM Roofing. Contact us to schedule a free estimate on our services, or if you simply have some questions about your home you would like to discuss. We offer promotions, contests and sweepstakes for our current and future customers. To Enter: Contact us and agree to keep our yard sign in your front lawn for 2 weeks from delivery Yard Signs will be delivered by BCM Staff to your lawn and placed Your name will be entered into a raffle drawing Winners will be selected at random by BCM Staff and announced on our social media networks Prizes will be mailed within one week of sweepstakes close to the winners Rules: You must be a past BCM Roofing Customer* Entries must be placed by 5:00 pm EST, September 12, 2014 The BCM Roofing Yard Sign must be placed and visible from the street in your front lawn for 2 weeks after delivery The winners will be drawn at random on October 1st, 2014, recorded and posted on our social media networks Your full name or other personal information will not be disclosed or presented publicly, only your first name, last initial and home city For other rules and restrictions, please call us at 844-HIRE-BCM. 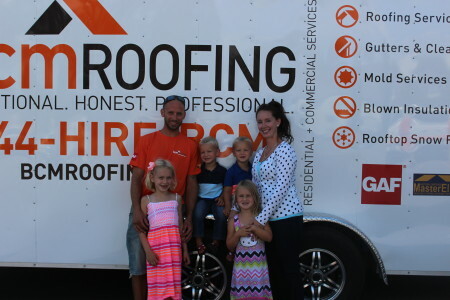 Like Us on Facebook or Follow Us on Twitter and get 5% off your next roofing service from now until 12/31/2016. 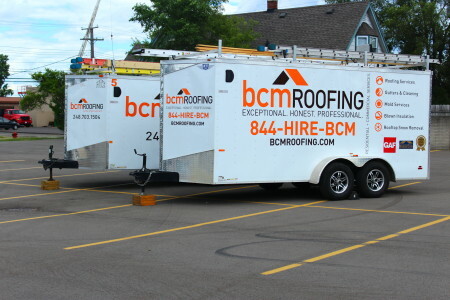 Call 844-HIRE-BCM for restrictions and more info. 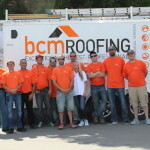 If you provide a referral to BCM Roofing for a complete roofing system installation, you will receive a $50.00-$100.00 Home Depot gift card upon completion and payment of the installation. The value of this card depends on the sale price of the roof system installed. Referrals under $7,500.00 will receive a $50.00 gift card, and referrals over $7,500.00 will receive a $100.00 gift card. Referrals must be placed later than September 5, 2015. Referrals before this date do not qualify for the BCM Referral Program. Gift cards will be mailed to your home after payment is received for the referred job, or available for pickup. For other rules and restrictions, please call us at 844-HIRE-BCM.